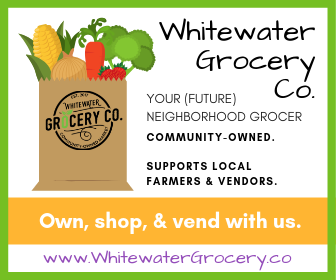 Working for Whitewater’s Wellness is looking for passionate volunteers interested in helping to make our community members live longer, happier, healthier lives. W3 is currently seeking TWO new board members. If you enjoy gardens, health and fitness, active living, marketing, or just making a difference, you will fit right in. Not interested in a board position? Then try one of our committees! Any community member is welcome to join one of our committees at any time. 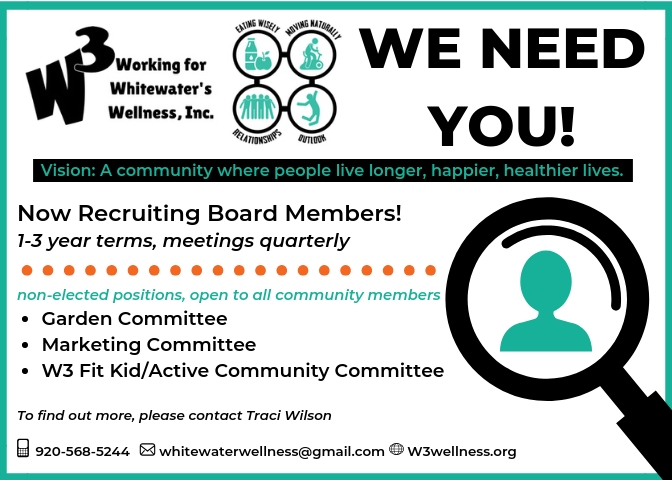 Please contact Traci Wilson at whitewaterwellness@gmail.com to inquire about a board position and/or committee information.